Junkfood Science: Now an epidemic of hypertension? Now an epidemic of hypertension? Today’s news has been reporting that rates of hypertension among Americans are soaring, according to a new study, and that the dramatic increases are due mainly to obesity. Simultaneously, this new study is being used as evidence of a need to make prevention and control of obesity, called a “stroke-causing condition,” a major national focus. Looking closer at the study, however, reveals that the evidence is unable to support such dire concerns. You may actually find its results reassuring. So, let’s turn the panic dial down a notch and take a look. Briefly, this paper from the National Heart, Lung and Blood Institute compared hypertension data from two National Health and Nutrition Examination Surveys — NHANES 1988-1994 and NHANES 1999-2004. Since the 1960s, these national examinations have been conducted by the CDC National Center for Health Statistics on a representative sample of Americans, to be used in establishing national health objectives. As reported in the news, this study concluded that the prevalence of hypertension among adults increased during this period from 25% to 28.9%. With all research, definitions are everything. As we know, it’s easy to come away with wrong impressions of a study’s findings when we mistakenly believe what was being measured. It’s also easy to create perceptions of an epidemic not just by changing the definition of that measure, but also by tallying the numbers crossing an arbitrary threshold, rather than reporting actual indices and their nuances. Respondents were defined as having hypertension if their average systolic BP was ≥140 mm Hg, their average diastolic BP was ≥90 mm Hg, or they reported current use of antihypertensive medication. Awareness was defined as hypertensive respondents having been told at least once by a health professional that they had hypertension. Hypertensive adults were included in the treatment category if they reported the use of a prescribed medicine for hypertension. In other words, the authors were not just reporting actual changes in blood pressures seen among the population, as most people probably believed. Included in the definition were prescription drugs used. Yet, prescription drug use for managing any health index is primarily a measure of clinical care guidelines, not an accurate accounting of disease prevalence or severity. The number of people told they have high blood pressure is, of course, also determined by how hypertension is defined. And what has changed since 1988? Both the definition of hypertension and the clinical guidelines calling for prescription medications. In 1997, the Joint National Committee on Prevention, Detection, Evaluation and Treatment of High Blood Pressure changed the definition of hypertension from 160/100 to 140/90, instantly adding 35% more Americans — 13.5 million — to the numbers labeled as hypertensive. Then, in 2003, the JNC shifted the range of blood pressures considered normal to still lower levels. A normal blood pressure reading went from <130/85 to <120/80mm/Hg. It also created a new definition of ‘prehypertension’ — 120-139 systolic over 80-89 diastolic — increasing to 58% the percentage of Americans who believed their blood pressure was high. Understandably, studies that use self-reported hypertension tend to show prevalence to not only be higher, but dramatically increasing, whereas studies that use actual measured blood pressures are less impressive. The published studies for the last decade using NHANES data most consistently show no significant increases in hypertension. If there really are dramatically soaring increases in hypertension, then the evidence would be considerably more decisive. For example, researchers in the January 2007 issue of Hypertension had examined the same NHANES data, comparing 1999 to 2004. They reported that there had been no significant increase in the overall prevalence, awareness or treatment rates of hypertension. This past February the most recent data from NHANES also reported that from 1999 through 2006, there had been no significant changes. “The overall age-adjusted prevalence of hypertension varied only slightly between 28% and 30%, and there were no changes in hypertension prevalence by gender, age, or race/ethnicity,” they reported. The most significant predictor of hypertension was age, they wrote. Data from NHANES 2005-2006, which had been reported in the January 2008 issue of the NCHS Data Brief, noted that prevalence of hypertension increases with age — from 7% among those age 18-39, rising to 67% in those ≥60 years of age. Another analysis in the July 2003 issue of the Journal of the American Medical Association compared earlier NHANES data. It reported that from 1988-1991 to 1999-2000 there had been a 3.7% increase in the prevalence of Americans labeled as hypertensive, as defined above. Actual average systolic blood pressures, however, had gone from 122.0 to 122.9. And concerning prescription use, the scripts written by doctors have generally been reported to be consistent with the JNC guidelines. Since the very first JNC report published in 1977, the guidelines for treating hypertension have been updated every 4 to 5 years! Trends in the numbers of prescriptions written is not an accurate measure of actual hypertension. In a detailed analysis of the latest JNC guidelines, entitled “Is the Devil in the Details?” published in Mayo Clinic Proceedings, Dr.Textor wrote that when the first JNC report was released, “awareness was low among both medical practitioners and the public regarding the importance of lowering blood pressure to reduce mortality due to stroke and cardiovascular disease.” Predictably, the number of prescriptions would increase as awareness increases, guidelines change and blood pressures cut-offs calling for treatment are lowered, and as doctors and patients are compelled to comply per insurer mandates. Adherence with writing prescriptions in accordance with clinical practice guidelines is also increasingly used as ‘quality’ indicators, incentivized as pay-for-performance measures for physicians. [Background information on P4P measures here.] As cardiologist Dr. Westby G. Fisher, M.D., FACC in Evanston, IL, deftly illustrated this morning, doctors are increasingly finding it nearly impossible to get out of doing what third-party payers say. And, indeed, this study found that the percentage of Americans being treated for hypertension increased from 53.1% to 61.4%. Putting the controversies surrounding these changes in definition, clinical guidelines and medication recommendations, aside, let’s look at the details of the study published today in the online edition of Hypertension, a journal of the American Heart Association, and how they compare to the news stories. Prevalence. Tallying the percentage of Americans in NHANES 1988-1994 compared to NHANES 1999-2004 who met the current definition of hypertensive, the authors reported an overall increase of 24.4% to 28.9%. There was no statistical change, however, among white men, black and women men under age 60, or in Hispanic men or women of any age. The small increases, in other words, were primarily among white women over age 40 and the elderly. Obesity. Despite the news, the authors reported no increase in the percentage of fat people [in the overweight or obese categories] with measured hypertension (BP ≥140/90). In fact, among the ‘obese’, rates of hypertension dropped slightly, from 20.1% to 17.9%. The only statistical increase in hypertension seen between 1988 and 2004 was among those with BMIs <25. Nor were the authors able to derive any tenable correlations, adjusted odds ratios for age with or without BMI, between hypertension and any race/ethnicity, among men or women. Average blood pressure readings. The figures showing the actual average blood pressures among American adults — without hypertension, with treated hypertension, and those with untreated hypertension — show nominal changes between 1988 and 2004. 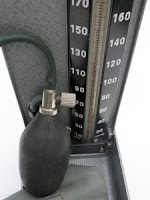 There was no statistical change in systolic blood pressures among those being treated for hypertension, and the average systolic blood pressures among untreated hypertensives went from 144 (SE 0.5) to 146 (SE 0.6). Average systolic blood pressures among Americans without hypertension went from 115 to 117. These changes are too small, of course, to be clinically meaningful. And among all groups, average diastolic blood pressures decreased during this study period (an overall average of 73 to 72). Where are the dramatic, soaring increases in high blood pressure, as reported in the news? Not only did this paper not find what anyone would call an epidemic of hypertension among Americans, but it also didn’t show obesity to be driving rising rates of hypertension. That was, of course, age. He also noted that death rates from heart disease and stroke among the adult U.S. population have halved since 1950, despite increases in BMI. 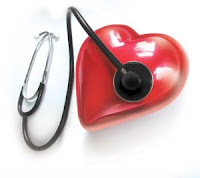 These suggest that the effects of blood pressure are attenuated in fat hypertensive people, Dr. Kotchen wrote. As has been covered here in more detail, the protective effect of body fat has been evidenced in most studies, which show as much as five times lower mortality rates among fat people with high blood pressure and heart disease, as compared to lean ones. Despite the media’s portrayal of obesity as being the leading cause of hypertension in children and teens, the facts tell a different story among them, too. [Hypertension in children was reviewed here.] Medical professionals take true hypertension in young people seriously, but fat isn’t the main cause among pediatric patients, either. It’s kidney diseases (renal parenchymal and renovascular disease), which causes 70 to 90% of all cases. Among babies, there’s also congenital renal disease, coarctation of the aorta (a rare birth defect of the aorta) and bronchopulmonary dysplasia (a lung problem mostly seen among premature babies). And then there’s the side effects of prescription medications and less commonly, tumors and central nervous and endocrine disorders. While it may seem like every health story is about another health crisis blamed on the obesity epidemic, more often than not, a critical look at the evidence can bring a less panicked perspective.